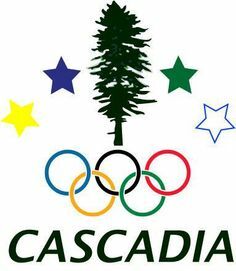 2016 Cascadian Olympians – 103 Cascadia Athletes. 66 from British Columbia, 2 from Idaho, 15 from Oregon, and 20 from Washington. 47 women & 56 men. Ranked 34th in the number of athletes representing a National Olympic Committee. 2016 Cascadian Olympians ended the Olympics with 11-20 medals, depending on whether you include team events or not. This puts Cascadia somewhere between 12th and 24th in medal county by country depending on how you count it up. *Rankings calculated after removing Cascadians from USA/Canada’s medal count.